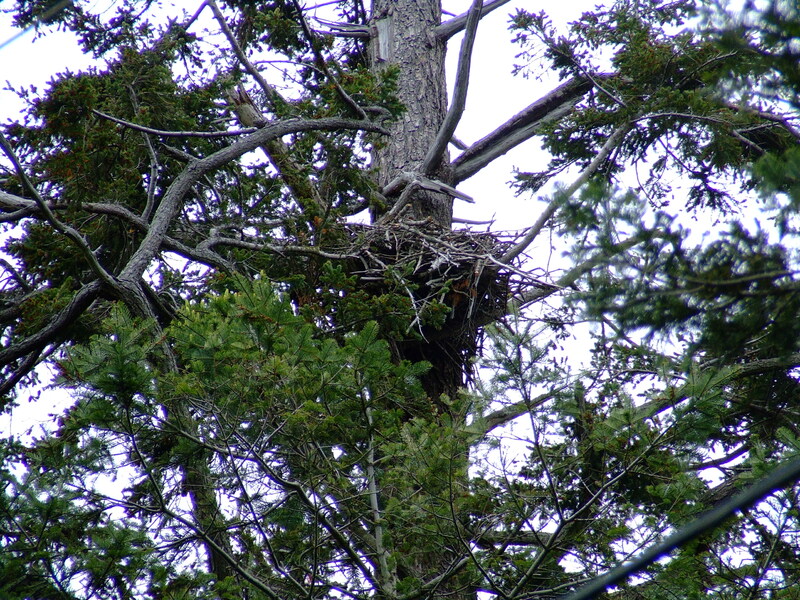 It is looking to me very likely that there are no eaglets in this nest this year. 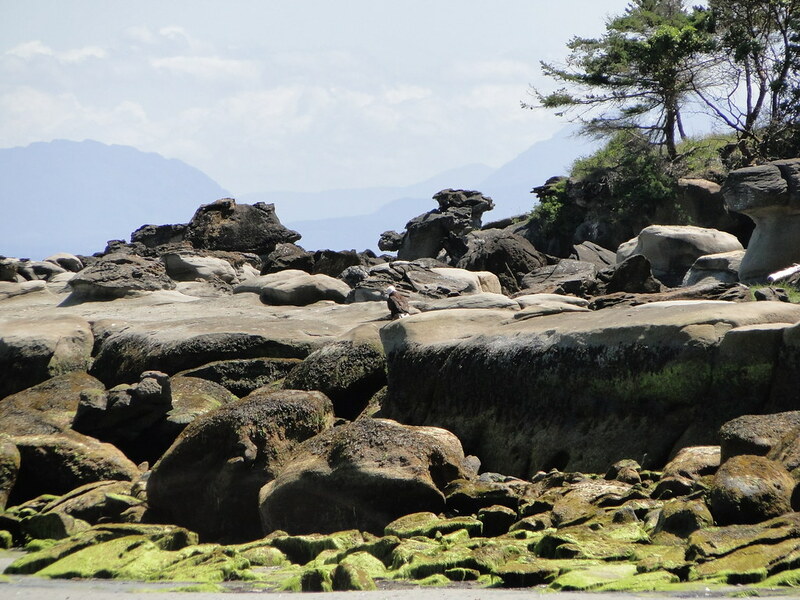 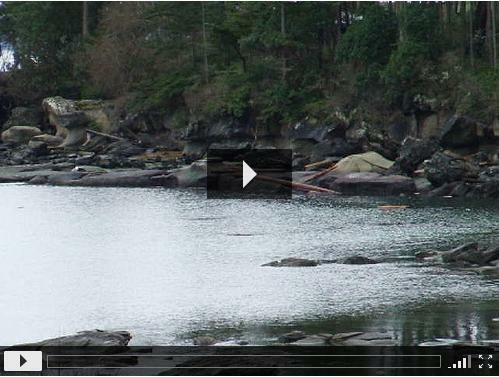 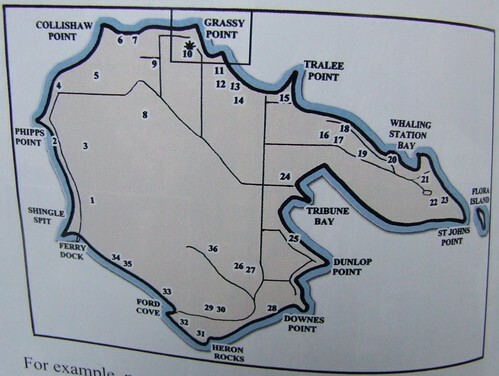 On our recent trip to Hornby, we stayed at the Tribune Bay Campground. 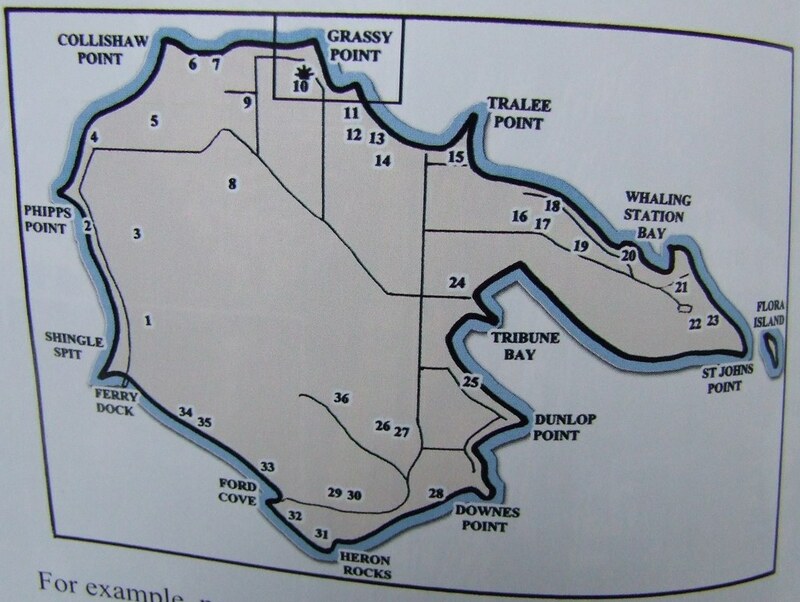 Entirely by luck, our campsite was directly across the street (with some campsites in between) from the Tribune Bay nest #24! Funny thing was, we did not realize it was the nest tree (thought maybe, or maybe a perch tree) until Booni was kind enough to walk there with me! And, lo an behold, there was the nest. 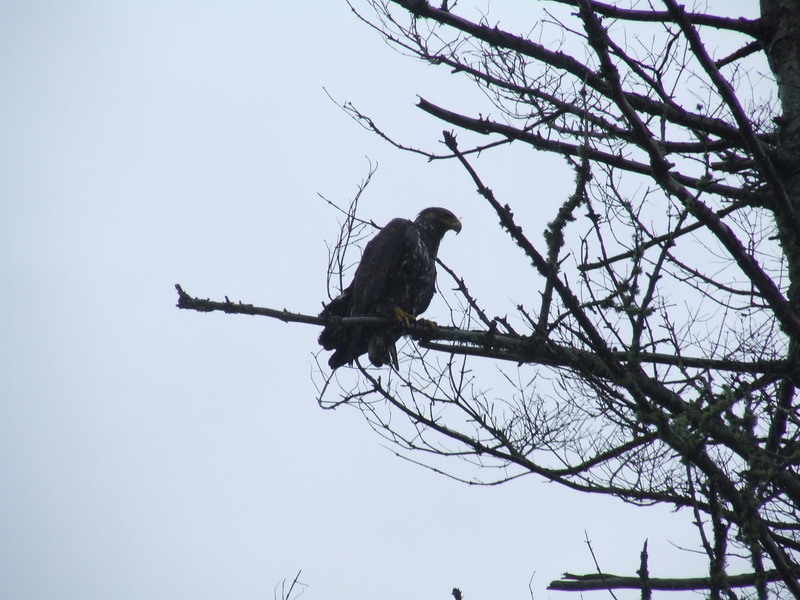 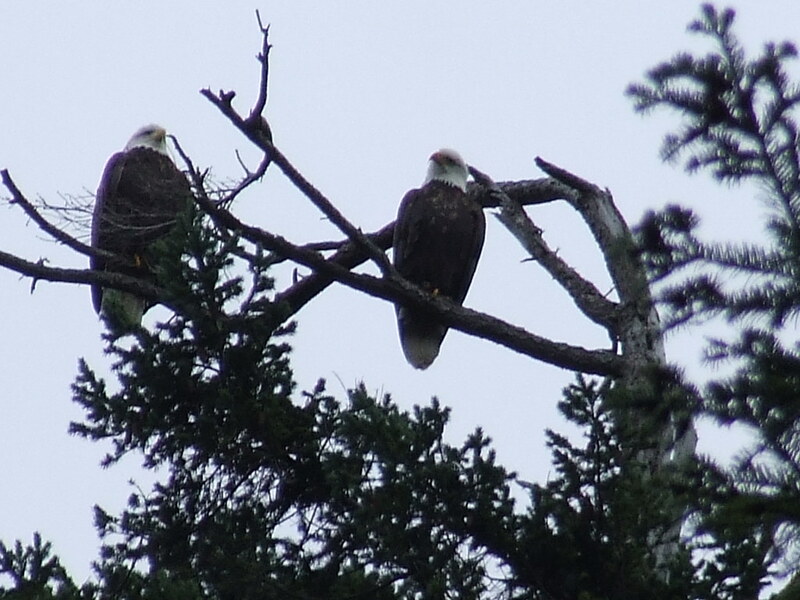 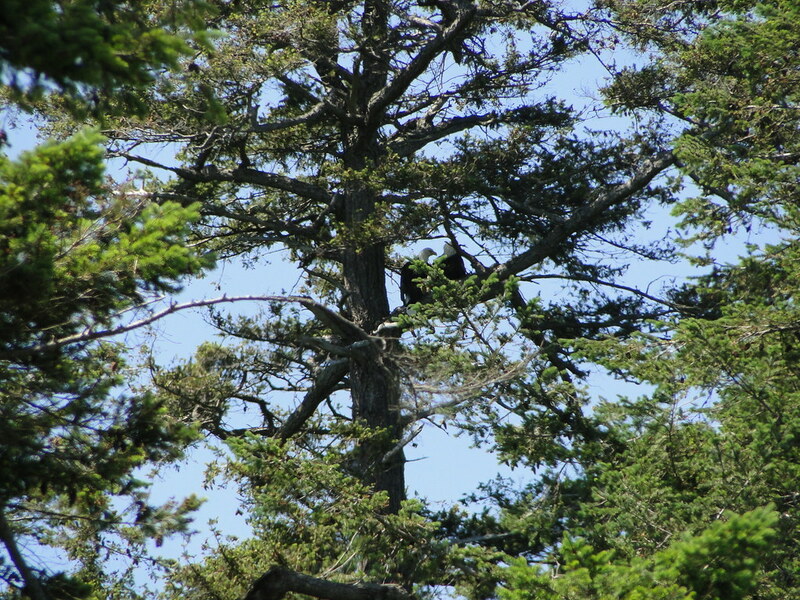 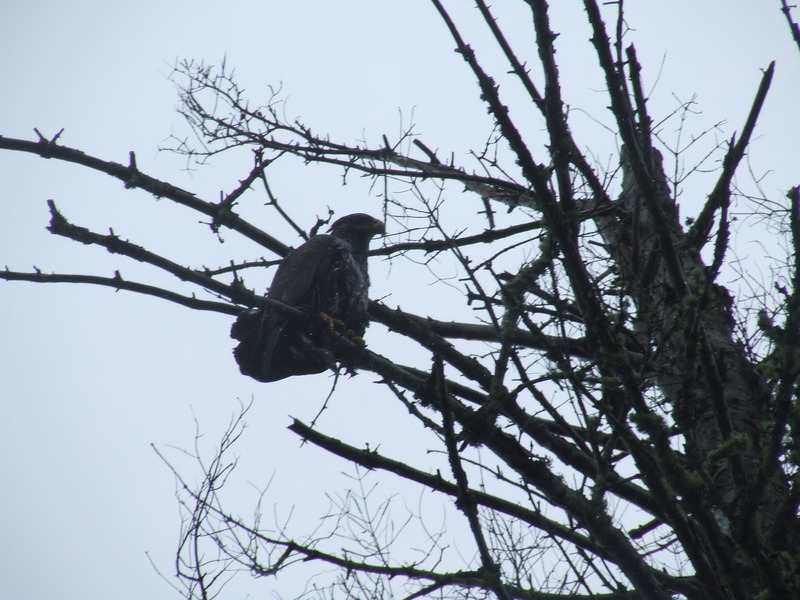 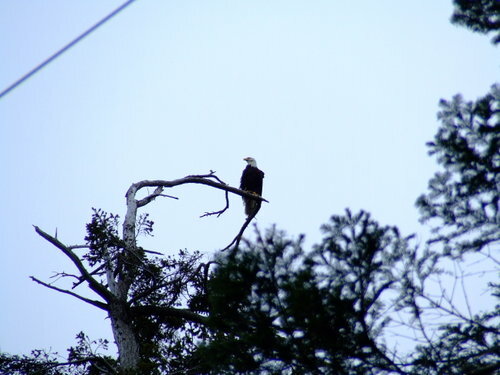 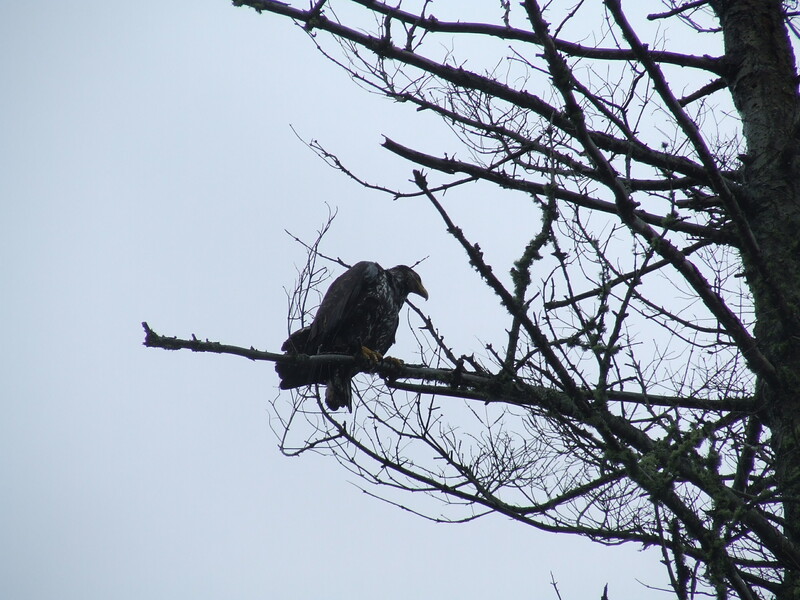 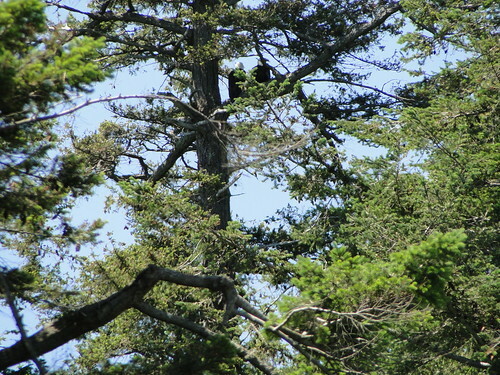 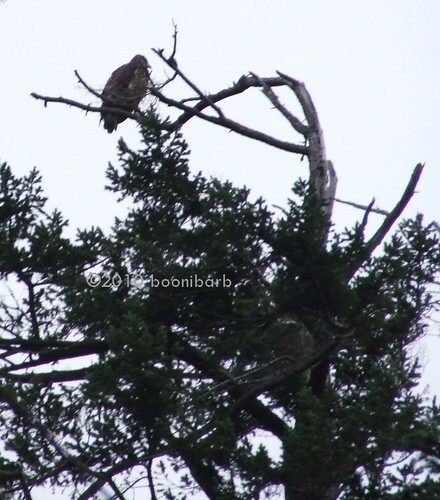 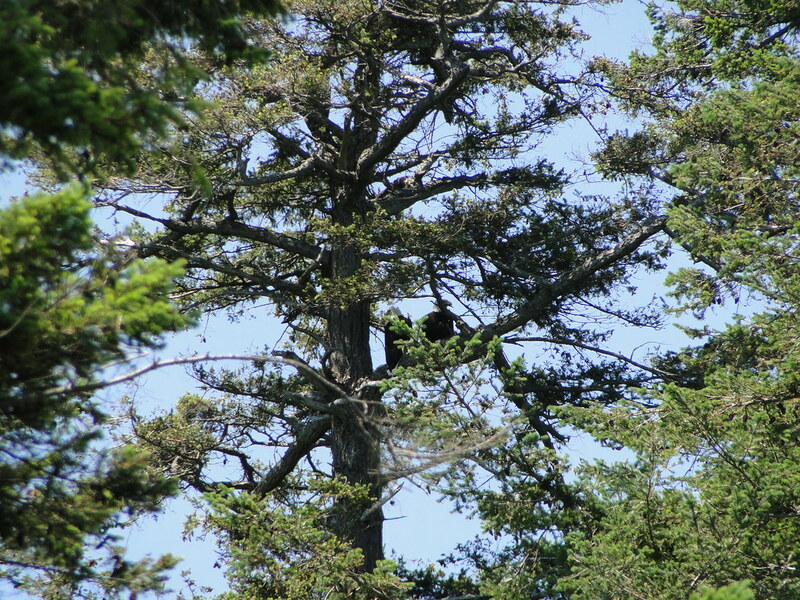 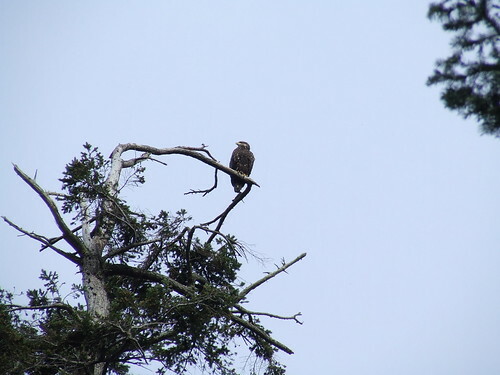 We had seen a pair of adult eagles at Tribune Bay in the various trees, as well as being harrassed by crows/ravens, and were wondering where the nest tree was located. 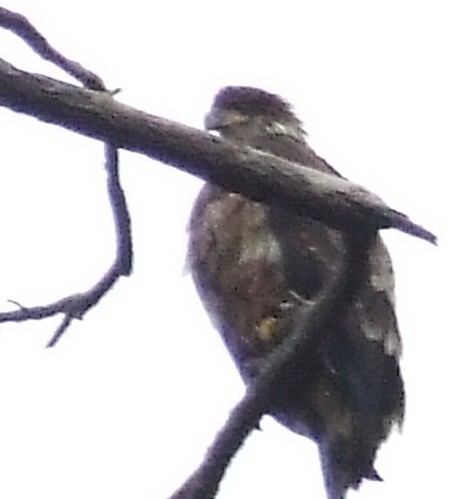 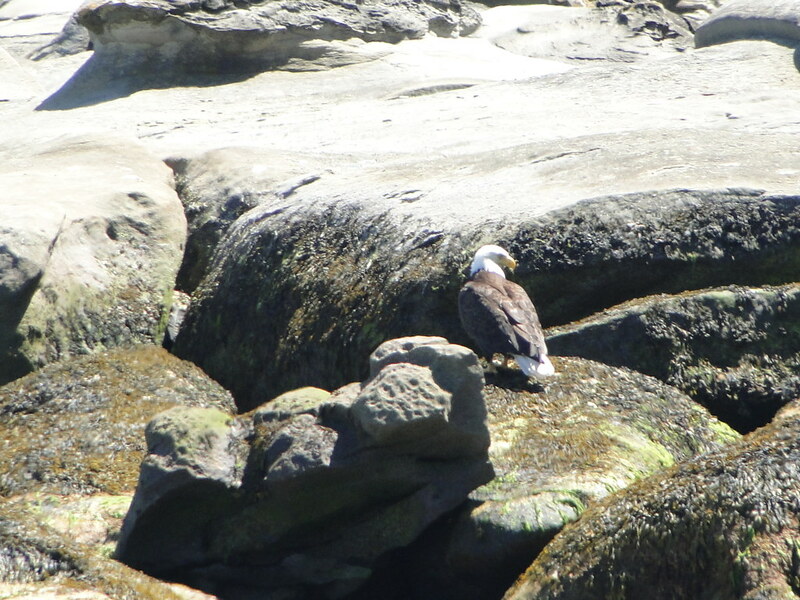 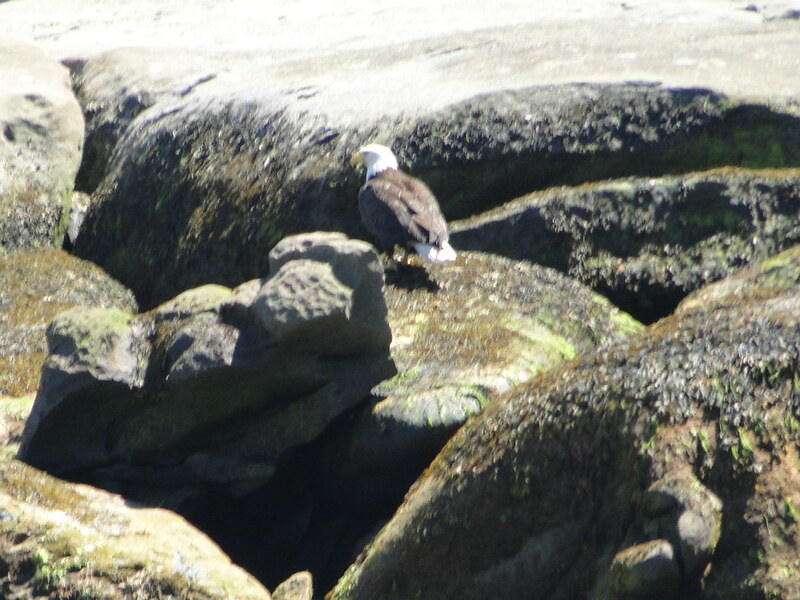 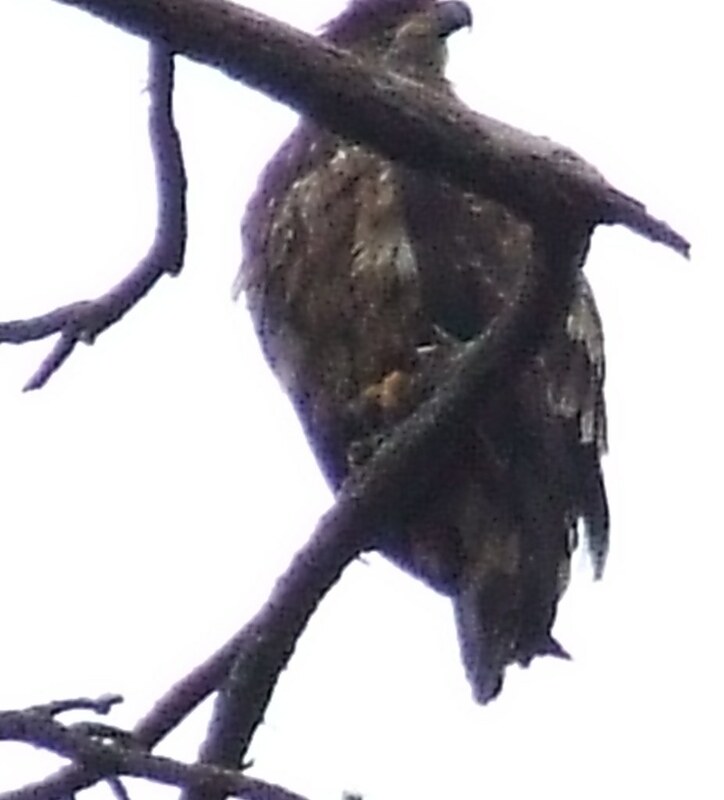 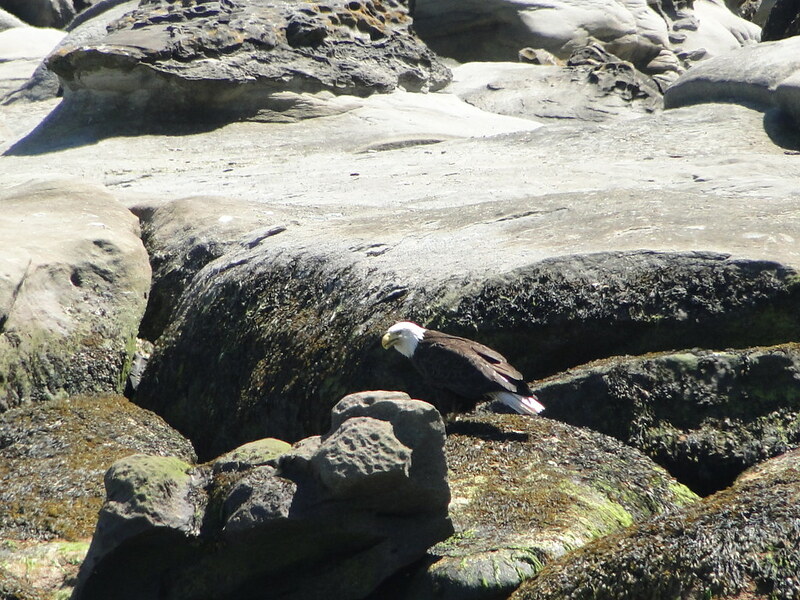 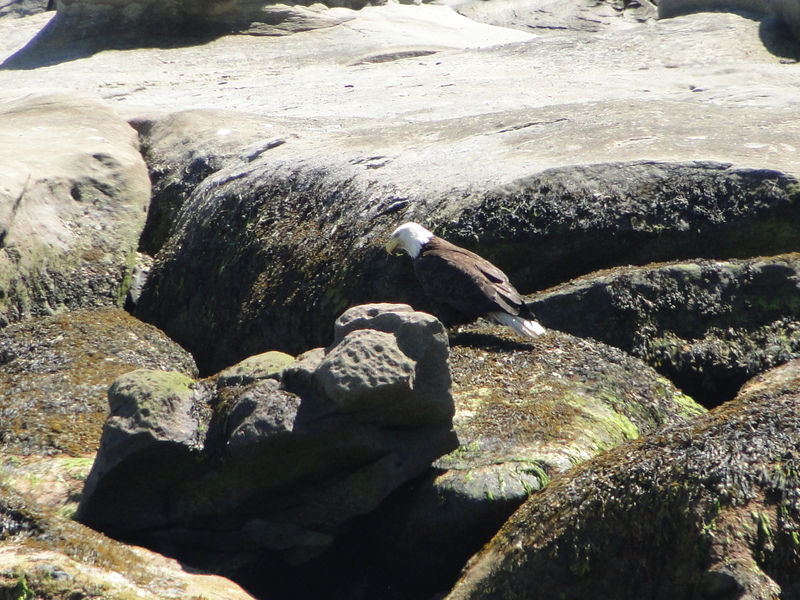 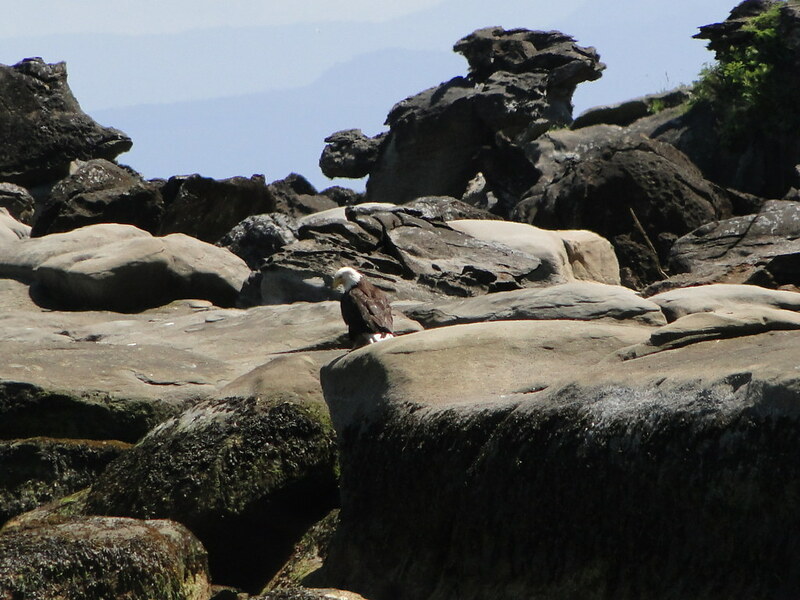 We also saw an adult eagle hunting/eating in the low tide among the rocks on a part of the Tribune Bay area. 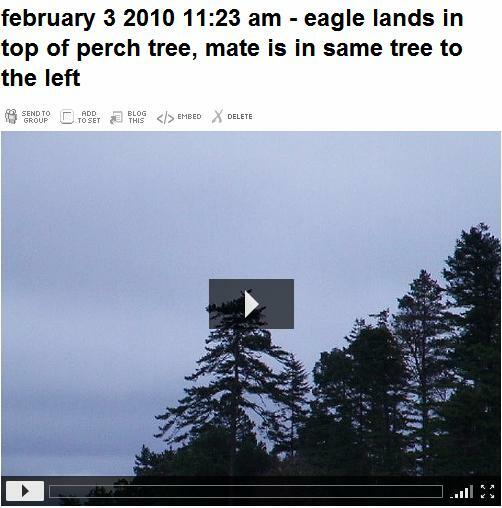 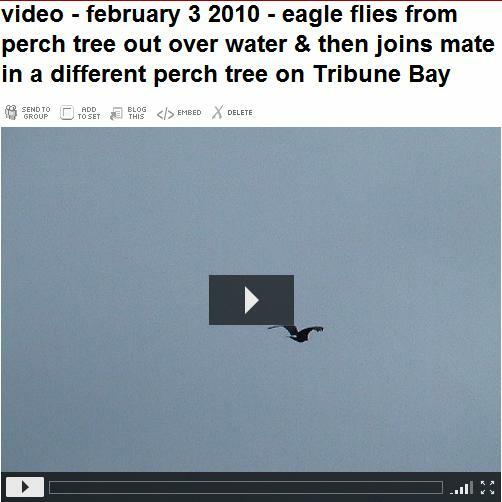 And we saw the Tribune Bay eagle being harrassed in its nest tree. 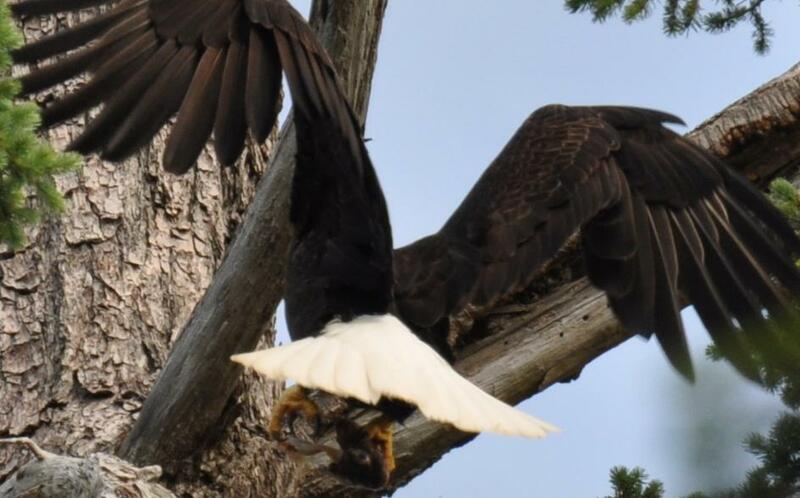 (I guess sometimes the ravens prevail, per Booni's post.) 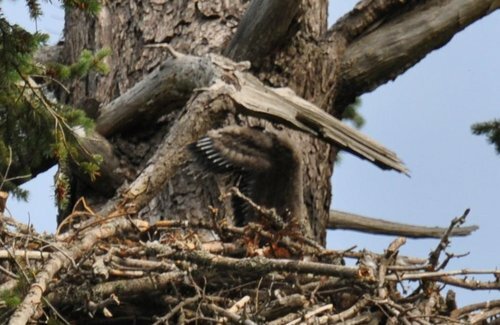 I am assuming that there were no young eagles in the #24 nest, but the adults were definitely around the area as well as on the nest tree.